I first heard about Clive Barker when a friend gave me the first three volumes of the Books of Blood for my birthday in 1986. Without having any idea what to expect, I started reading the stories in order. I thought they were pretty good, with vivid imagery rendered in well-written prose, rooted in an original (and somewhat perverse) imagination. Then I came to the final story in the first volume, In the Hills, the Cities – and I was completely won over. This remarkable story is still one of the strangest pieces of imaginative fiction I’ve ever read, making a grandly absurd premise completely convincing and profoundly moving. Barker seemed to have his roots in some other world, his stories reports from a place both like our own and yet very different. I quickly bought copies of the final three volumes and read all six in a couple of weeks. Inevitably, some stories were better than others, but the overall consistency was remarkable. Oddly, I couldn’t get through his first novel, The Damnation Game, but his second, Weaveworld, was one of the best dark fantasies I’d ever read. So I was already a fan when he made his first movie, Hellraiser, in 1987. Despite certain limitations – due to his inexperience as a director and a budget not quite up to meeting his ambition – it had many of the same qualities that made his stories so interesting. Which is certainly more than can be said for most of the attempts to adapt his work (Underworld, Rawhead Rex, Candyman … the only one to do its source real justice is Ryuhei Kitamura’s The Midnight Meat Train). Hellraiser was a surprise hit, spawning a whole string of inferior sequels, so Barker found himself with more money to make a second film. 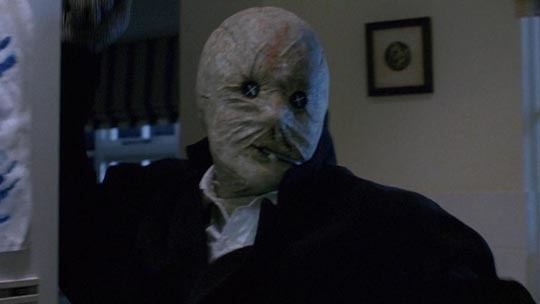 This was Nightbreed (1990), adapted from Cabal, one of his shorter novels. Once again, the film’s ambition strained its modest budget. A love story with monsters, or a monster story about love, it attempts to create a mythology of its own involving a race of monsters driven almost to extinction by human kind. The protagonist, Boone, is a troubled man who may or may not be a serial killer, who dreams of a place called Midian where monsters can go and live peacefully among their own kind. The arc of the story inevitably involves his discovery of Midian and his gradual assumption of the role of Messiah for the race of monsters, his destiny to lead them to a new safe haven. Along the way, he deals with death and resurrection, a rocky relationship with his girlfriend Lori, and the story’s genuine boogeyman, Decker, the psychiatrist who has manipulated him into believing that he’s committed murders. All threads lead to an apocalyptic finale and the promise of a new beginning. Barker’s aim was to create a story in which the monsters are sympathetic and the humans monstrous. Unfortunately, his producers – Morgan Creek – didn’t see things his way. To them, monsters have to be bad and horror movies need to be about a knife-wielding slasher. 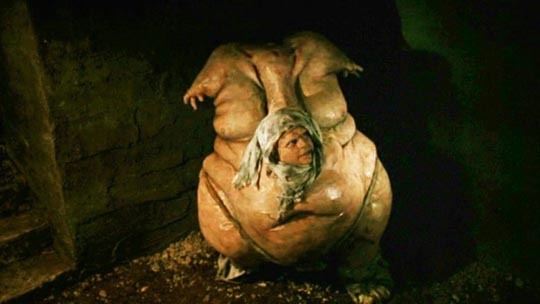 Having rejected Barker’s cut, they insisted on re-shoots, brought in another editor with more “commercial” sensibilities (Barker’s original editor eventually left the project in disgust), and the film was warped into something it was never intended to be and, not surprisingly, landed at the box office with a thud (ironically, Morgan Creek’s new ending is obviously designed to set up a sequel). At the time of release, Barker made it known that this was not the film he had set out to make. Not an unusual story, perhaps – corporate people are always at odds with original filmmakers and as often as not, it’s the filmmaker who ends up losing the battle. The fundamental question is always “why back a filmmaker if you don’t trust his judgment?” But employees locked into a corporate structure tend to live in fear of their own positions, which makes them cautious, looking for a safe, familiar way of doing things. To them, even at the very far end of the ’80s slasher cycle, their best bet was to ramp up the character of Decker in hopes of spawning another Jason or Freddy, oblivious of the fact that Barker had set out from the beginning to create a fairy tale rather than a horror film. And so Nightbreed quickly sank out of sight and Barker went on to other things, mostly the writing of novels (I have to confess I only really liked one of these, the magnificent and epic Imajica) … with only one more film to his credit, 1995’s The Lord of Illusions (again, not as memorable as Hellraiser). 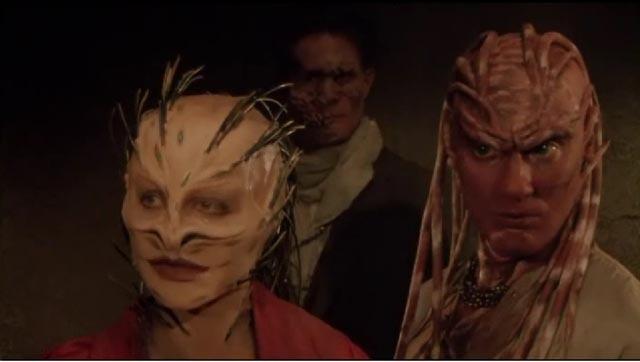 But the knowledge that there was an alternate version of Nightbreed out there is the kind of thing that takes hold of fans’ imaginations. One of these fans was Mark Alan Miller, vice-president of Clive Barker’s Seraphim Films. At some point, he was involved in the discovery of a collection of VHS tapes of various workprint sequences which were assembled into what became known as “The Cabal Cut”, a two-and-a-half hour assembly of Barker’s original footage from before the studio-mandated re-shoots. It was screened in various places with mixed results – by all accounts the quality was atrocious and the content was far from a finished film, but the fans were getting a glimpse of the director’s original intentions. Last year, Shout! Factory began to prepare a disk release of this version. But then something remarkable happened, the kind of thing film fans dream of when thinking about lost films: boxes of original elements were discovered in a warehouse somewhere in the mid-west, most of the Nightbreed negative, soundtracks … and Shout!’s plan immediately shifted from “The Cabal Cut” to a director’s cut of Nightbreed. This has now been released on a special edition Blu-ray (the extra-special limited edition includes an additional disk of supplements, plus a Blu-ray of the original theatrical cut). I should confess that I never had any particular obsession with Barker’s film – I thought the theatrical release was pretty bad when I saw it back in 1990 and didn’t give it much thought over the subsequent twenty-five years. But when the new release was announced, my interest was piqued so I pre-ordered a copy. Having now watched the director’s cut, I can say that there are definite improvements over the theatrical release, particularly in the opening stretch where time is now taken to set up the characters and situation where before everything was rushed through to get to Midian more quickly (because, the studio believed, the only thing anyone would be coming for would be the monsters). Now there is actually a relationship established between Boone (Craig Sheffer) and his girlfriend Lori (Anne Bobby); and significantly there are more details about the way Decker has been manipulating Boone, setting him up to take the fall for a series of brutal killings. 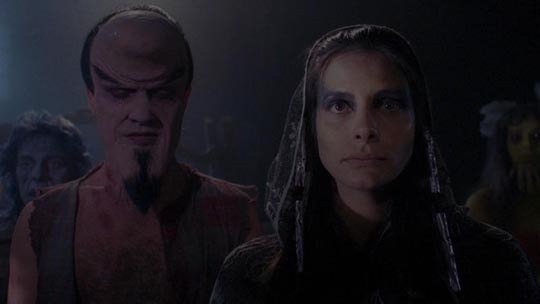 The society of Midian is more fully developed, with a number of the monsters given more personality. The elaborate and varied make-ups are one of the film’s strengths, as are the large sets built at Pinewood Studios, all atmospherically shot by Robin Vidgeon (whose first DoP credit was Hellraiser). But despite the improvements, the director’s cut still has many of the flaws I saw in the theatrical release. Although I don’t believe everything needs backstory, too much of the narrative seems arbitrary – from Boone’s origins and his reasons for being so susceptible to Decker’s manipulation (surely it’s not that easy to convince someone that they’re a serial killer when they have no memory of committing any crime?). Then there’s Decker himself; despite David Cronenberg’s amusingly understated performance and the genuinely creepy design of his button-eyed mask, the evil psychiatrist remains a one-dimensional boogeyman, a plot contrivance. But most puzzling of all is Barker’s decision to set the story in Canada and then make no effort at all to make that setting convincing. Sure, Alberta is probably more prone to rednecks than other parts of the country, but for the apocalyptic finale, Barker has a smalltown police force (actually, small towns in Canada are policed by the RCMP, not their own independent forces) with a massive military armory and elaborate SWAT teams, all under the command of another unmotivated boogeyman, Captain Eigerman (Charles Haid, with a rank unknown on Canadian police forces), who goes batshit crazy and leads an army of yahoos and kill-happy cops to destroy Midian, although there’s no indication that anyone in town has previously been concerned with the monsters living there. In other words, Barker never managed to turn his concept into a fully articulated narrative and despite the often interesting visuals and an undeniably impressive cast – well, Sheffer is a bit dull as the hero, but everyone around him is interesting and some are excellent, particularly Anne Bobby as Lori, who invests her role with a lot of genuine emotion and even gets to belt out a fine cover of k.d. lang’s “Johnny Get Angry”; future director Oliver Parker as Peloquin; Christine McCorkindale as the erotically-charged Shuna Sassi; Hugh Ross as Narcisse; and Doug Bradley (Pinhead himself from Hellraiser) as ’breed patriarch Lylesberg (here with his own voice restored, having been inexplicably dubbed with a German accent in the theatrical version) – the story is merely sketched in and fails to convince on a dramatic level. As for all the extras (yes, I did buy the limited edition, with almost four hours of supplements, plus a commentary with Barker and Miller, and that copy of the theatrical cut), they’re obviously assembled by people who hold the film and Barker in great esteem, although a brief interview with Mark Goldblatt, the editor brought in by Morgan Creek to “save” the film, offers a perspective on the business end of the whole debacle (Goldblatt does admit that in the rush to get to the action, he probably cut everything too tightly and lost some of the narrative in the process). But despite the amount of material, I was frustrated that one major question is never addressed. This version is termed the director’s cut and yet it actually incorporates elements from the studio-mandated re-shoots; but no one ever talks about how this actually relates to Barker’s original intentions, or how the new cut was actually pieced together. It would have been interesting if Shout! had included the Cabal Cut as well, despite the poor quality, so that it would be possible to see what Barker had been creating before things started to go off track. 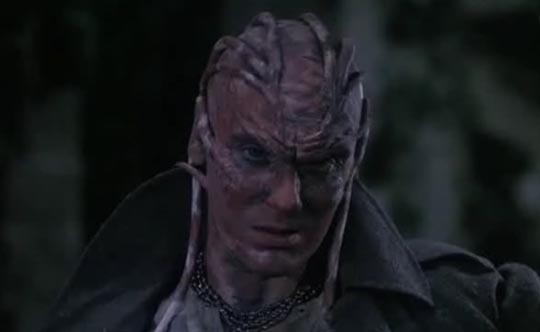 Nightbreed remains a minor film, notable for the sense of scale achieved on a limited budget and for the variety of Barker’s designs and the makeup effects team’s rendering of the monsters. And it’s certainly interesting that for once a mutilated movie has been brought back from the oblivion its corporate owners had consigned it to … but personally I didn’t find it to be the revelation its fans and makers claim. This entry was posted in Commentary, Review and tagged Blu-Ray, Directors, Directors Cut, Fantasy, Horror, Restored Films. Bookmark the permalink.